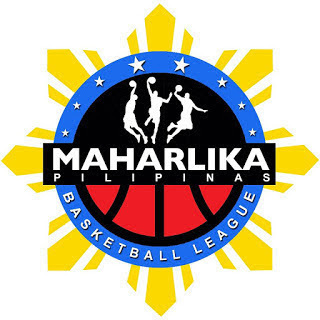 MANILA—Caloocan survived a late push from Marikina to take a crucial 94-91 win in the Maharlika Pilipinas Basketball League Datu Cup at the Caloocan Sports Complex on Thursday night. The Supremos were on the verge of blowing out the visiting Shoemasters at home after opening a 68-53 advantage with 4:13 remaining in the third quarter. Marikina, however, went on an 18-5 run spanning to the fourth quarter to trim the lead down to just two, 73-71, with 8:15 left in the game. Caloocan restored order a bit after going on a 12-4 run capped by back-to-back triples from Almond Vosotros to reopen a 10-point gap, 85-75, with 3:35 to play. The Shoemasters knocked on the door again after responding to the Supremos with a 12-4 rally of their own to cut the gap back to two, 89-87, with 1:43 remaining. After Vosotros’ field goal was answered by two free throws from Gerald Anderson, Marikina saw an opening to tie the game after Mark Sarangay only made a split from the free throw that slightly stretched Caloocan’s lead to three, 92-89, with 40 seconds remaining. Anderson, who was struggling from beyond the arc all game long, misfired a right corner three-pointer, but Jay-Ar Ng Sang got the offensive rebound and scored two charities off a Sarangay foul with 13 seconds on the clock to cut the lead down to just one, 92-91. Vosotros got past Anderson’s pesky defense while at the backcourt, leaving the latter no choice but to give up the foul with 6.7 seconds remaining. Vosotros made both free throws to extend the Supremos’ lead to three, 94-91. Yves Sazon, who also had a hard time finding his range, misfired on a quick three-point attempt from the left corner, but Cederick Labing-Isa failed to handle the rebound properly as he stepped out of bounds right after getting the carom, leaving 1.5 seconds for the Shoemasters to force overtime. Ronald Roy, however, overshot a right corner trey as time expired, letting Caloocan escape. Vosotros fired 31 points on 11-of-19 shooting including a 6-of-10 clip from three-point range with five rebounds, six assists, and one steal for the Supremos, who are now in 10th place in the Northern Division at 9-14, just a half-game behind the Mandaluyong El Tigre and the Pampanga Lanterns for eighth and ninth places with just two games remaining in their schedule. Labing-Isa and Paul Sanga each added 18 points. Ryan Costelo dropped an MPBL career-high 25 points on 9-of-14 shooting along with six rebounds, five assists, and one steal against no turnover for the Shoemasters, but he was dearly missed in the final 2:22 of the game after fouling out as his team fell to 11th place in the Southern Division at 7-13, a full game behind the Biñan Heroes for eighth place. Sazon added 23 markers, seven boards, two dimes, and four steals, but he was 1-for-8 from rainbow country overall. Ng Sang had a double-double of 16 points and 11 caroms with one block.